The independent supermarket industry and entire retail community recently scored a major victory after House Republican leadership announced lawmakers would no longer include a provision in the Financial CHOICE Act (H.R. 10) that would have repealed debit swipe fee reform. The legislation was introduced by Rep. Jeb Hensarling (R-TX), chair of the House Financial Services Committee, to undo the 2010 Dodd-Frank Wall Street Reform and Consumer Protection Act. If reform was repealed, retailers would see these fees increase by a staggering 200 percent despite already paying the world’s highest swipe fees. Such a dramatic increase in fees, which are grocers’ second largest cost and the only one they’re unable to control, would have greatly harmed an industry that already on a competes on a one percent operating profit. 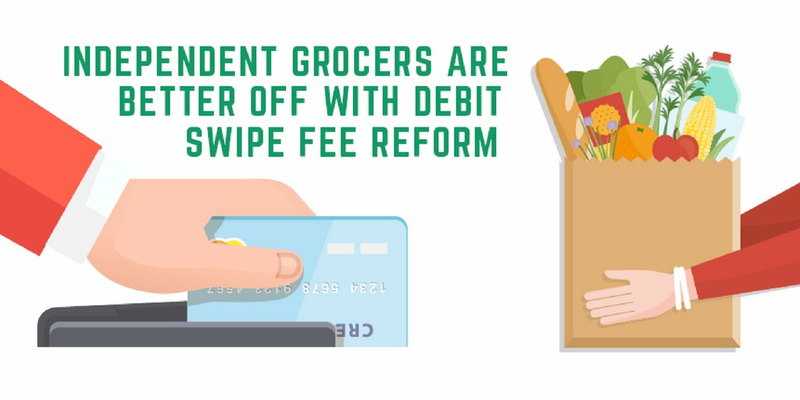 Independent grocers played a major part in this effort, urging Congress to protect Main Street merchants from a Visa and MasterCard duopoly earning $79 million annually from debit swipe fees. More than 1,100 NGA members sent letters to their Member of Congress expressing concern over the provision and nearly 300 supermarket executives lobbied on the issue at the same time as the Committee held a hearing on the legislation. By sharing how repeal would affect the independent supermarket industry, lawmakers were unable to ignore how grocers’ day-to-day operations and bottom line would be affected. The decision to remove the language from the measure comes shortly after the Committee marked up and passed the measure, which was expected to be considered by the full body as early as June. After leadership asked Members of Congress how they expected to vote on the bill, it became clear that the retail community made repealing these reforms a poison pill provision that would prevent the bill from moving forward. As a result, debit swipe fees will continue to be regulated and the routing provision allowing businesses to choose their routing network will remain in place. This is a tremendous victory for independent grocers and an important reminder that when we speak, lawmakers listen. Thanks to all those who urged Congress to preserve reform.